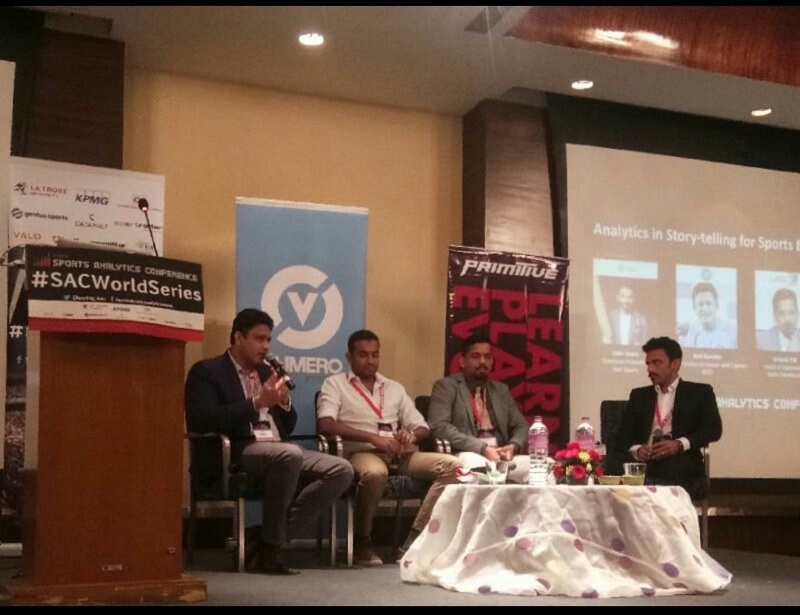 We had the privilege to be part of the Sports Analytical conference at Mumbai . Our Performance Analyst Rajas Nabar was part of it and he shares his first hand experience here. The 2nd Sports Analytic Conference in India was held at Novotel Hotel,Mumbai on 20th October 2018.The occasion was graced by former Indian Cricketer and Captain, 3rd highest wicket taker of all time and joint holder for taking all 19 wickets in a innings, Anil Kumble. The day’s session started with panel discussion lead by Anil Kumble, Srinath T.B. (Head of operations Delhi Daredevils) and Sanjog Gupta (Head of Star India), and presented by famous anchor Jatin Sapru (Presenter at Star Sports). 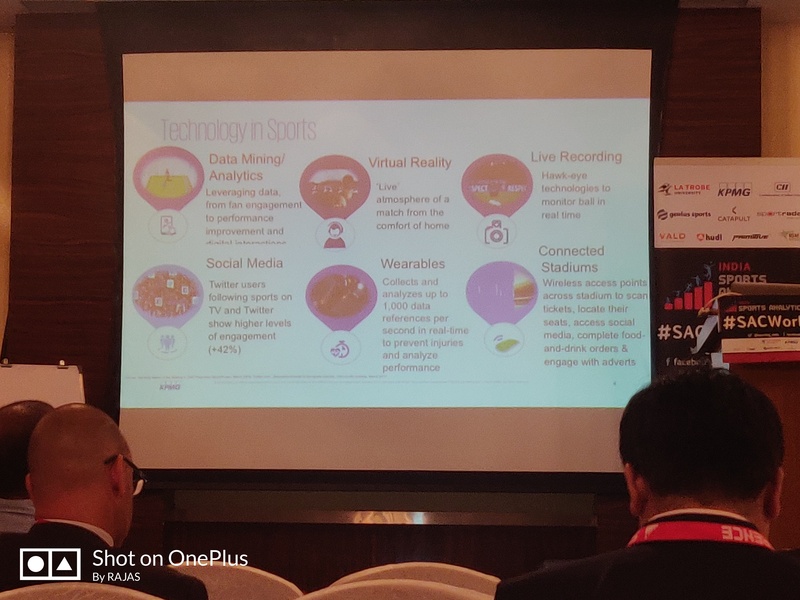 In this session, I came to know how analytics has changed the sporting world across various generations. Anil Kumble mentioned how there were times with Indian Cricket Team that there was no data accumulated, no opposition analysis of sort, and how the entire team reacted when they saw a computer being introduced for analysis. He was the first person to introduce a computer in the team and to make them aware of collecting stats. First, he used to collect all the stats for the team during practice games as none of other members were aware of how to use it. Slowly, once the importance of collecting data grew, they hired an analyst. As my area of interest was technology, most of the sessions I attended were related to Performance, Technology and Data Science. So, opting for the next session was an easy choice as it was Catapult, the world leader in elite sports. It was conducted by Paul Boanas, Head of Commercial. It was more about introducing their GPS Tracking Device with inertial sensors to quantify athlete performance and prevent injuries. This device would certainly help to gather and communicate objective data information to coaches. 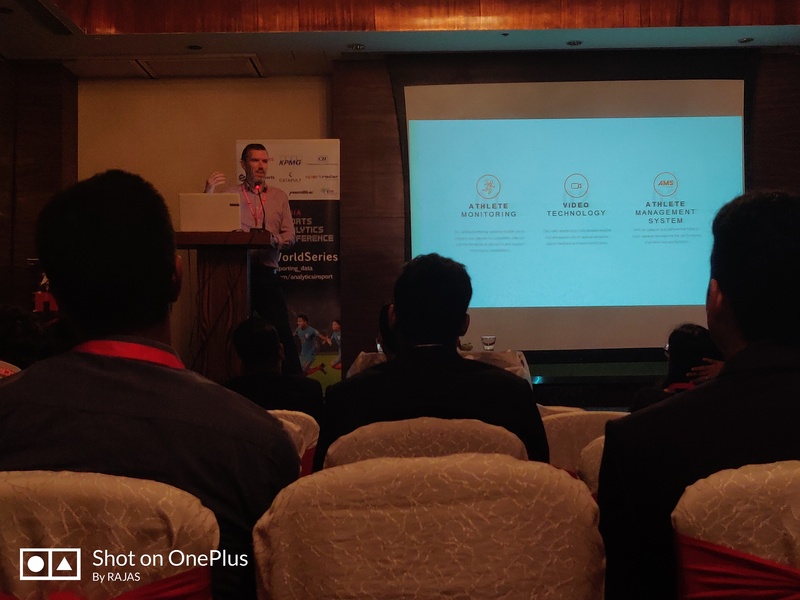 The next session was conducted by Richmond Football Club, an Australian Team, specially focusing on development at grassroots and explaining the importance of data communication. In this session, I had further insights into the role of a performance analyst, and how it’s their responsibility to interpret and communicate data to the coaches and the team members. Also, discussed in this session were challenges we face as analysts to communicate insights from data and how to overcome them. After networking with professionals of various companies during lunch and in the tea break, I felt I was in a hub of Sports where different personalities with so much experience and knowledge had gathered together. The next session to follow was by VIZRT, which creates products that include applications like real time 3D Graphics and provide Visualize Sports analysis for the digital broadcast industry. The DRS system in cricket where you see graphical analysis, Yardlines layout in American football or serve movements in tennis for viewers’ interest is all because of VIZRT. It was a very short but interesting session. 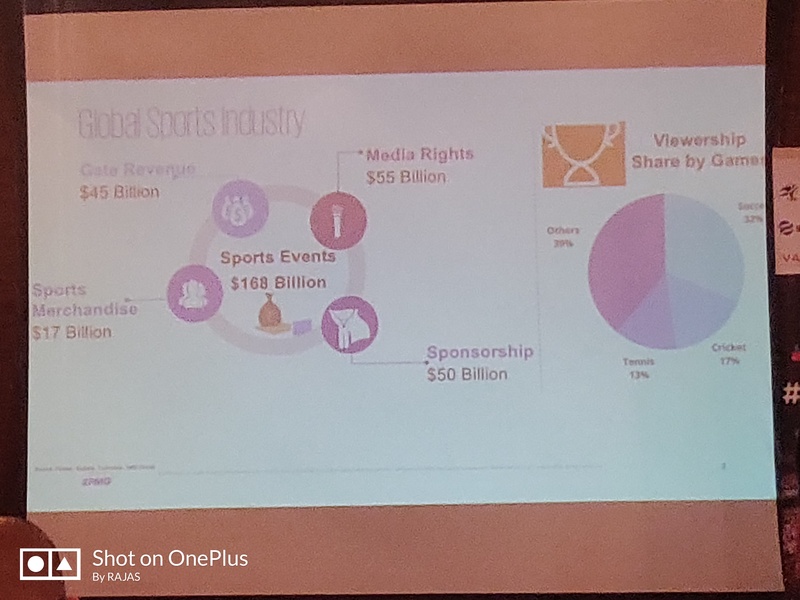 The Gold Sponsors of SAC ’18, KPMG, explained how sports has been commercialized in India conducted by Smita Jain (Associate Director).She narrated how digital apps are competing with television for viewership, how ICC Women’s Cricket World Cup recorded its highest ever views with 60% contribution from rural sector, and how slowly but steadily India can become a sporting nation, emerging from shadows of Cricket. She also explained how the sports industry is blooming in India relating to some of the best leagues, like the Indian Premier League, Pro Kabaddi League, and so on, and also in terms of the revenue generated from them. The last session was a panel discussion moderated by Gaurav Sundararaman (Senior Data Analyst of ESPN) with personalities like Srinath T.B and Arvind Sivdas (Co-founder of Kabaddi Adda). In this discussion, there were a few questions that focused on why analysts are always the last on the list, when will they start getting importance in India and also how stats are helping teams to pick players in auctions. Overall it was a wonderful experience to be a part of such wonderful conference which helped me not only to build a network but also helped me to gain valuable experience. This entry was posted in Events and tagged mumbai, Networking, SAC, Sports Analytical Conference, Sports Events, Sportsbiz, SportsKPI. Bookmark the permalink. Why do we need xG (expected Goal)?